Computer keyboards are a good source of dandruff! Dandruff are skin flakes from the skalp of the head. 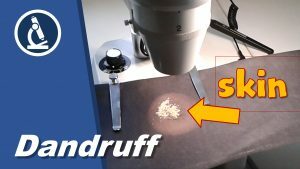 In this video I will be observing dandruff both using my stereo microscope and compound microscope.